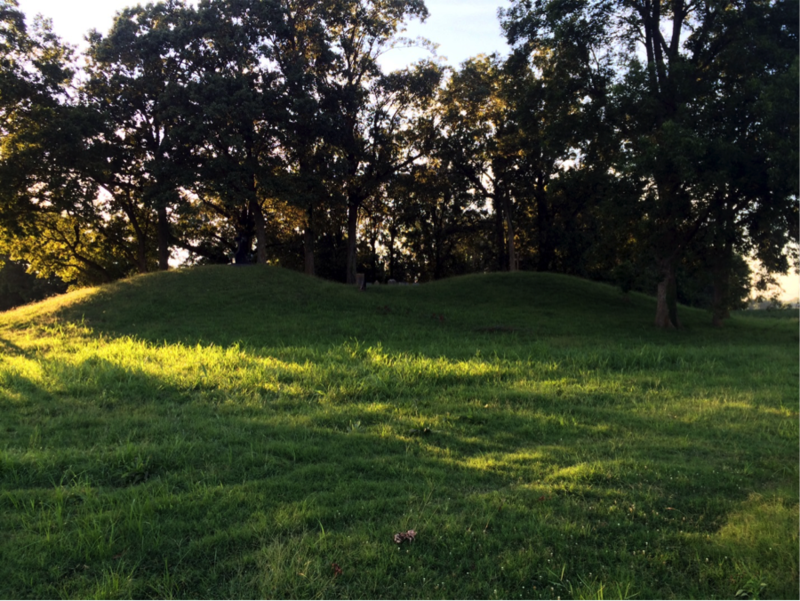 Stretching nearly the length of a mile, Carson Mounds is one of Mississippi's most impressive archaeological sites. When it was first mapped in 1894, the site had seven large and 80 small mounds as well as an earthen embankment. Though the site is exceptional in size, the mounds and other site features are organized according to a common orientation, suggesting that Native American people built the earthworks in accordance with a planned site layout. Today, five of the original seven large mounds remain. The remaining mounds as well as the earthen embankment have all been destroyed by modern agricultural practices, though portions of the embankment were still visible as late as 1951. Professional archaeological excavations since 2007 have found that Mounds A, B, C, and D exhibit different construction techniques and that they had domestic, ritual, and mortuary functions. Much recent excavation has focused on the area surrounding Mound A that was once enclosed by the earthen embankment. In this part of the site, archaeologists have discovered houses, palisade walls, and large storage pits. They have also discovered evidence of elaborate mortuary ritual in the form of charnal houses and communal burial pits. Pottery and other artifacts from Carson suggest that Native Americans lived at the site at least as early as the Middle Woodland Period (ca. AD 1-400). 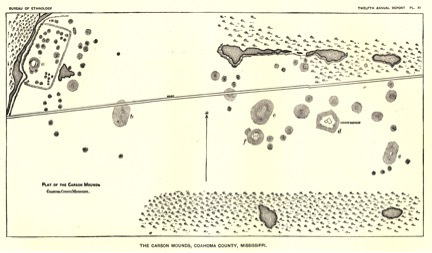 However, the mounds and other earthworks were constructed beginning in the Early Mississippi Period (or slightly earlier), sometime around AD 1000. About the time mound building commenced, the people of Carson were interacting with Mississippian people from Cahokia, near present day East St. Louis, Illinois. Evidence of this contact includes stone tools that are identical in material and manufacturing techniques to those from Cahokia, as well as pottery and architectural styles that are similar to those of Cahokia but unknown elsewhere in the Yazoo Basin. Some archaeologists speculate that this contact with Cahokia may have sparked significant cultural change in the region, including the shift to maize-based agriculture as well as increasing social and political inequality. 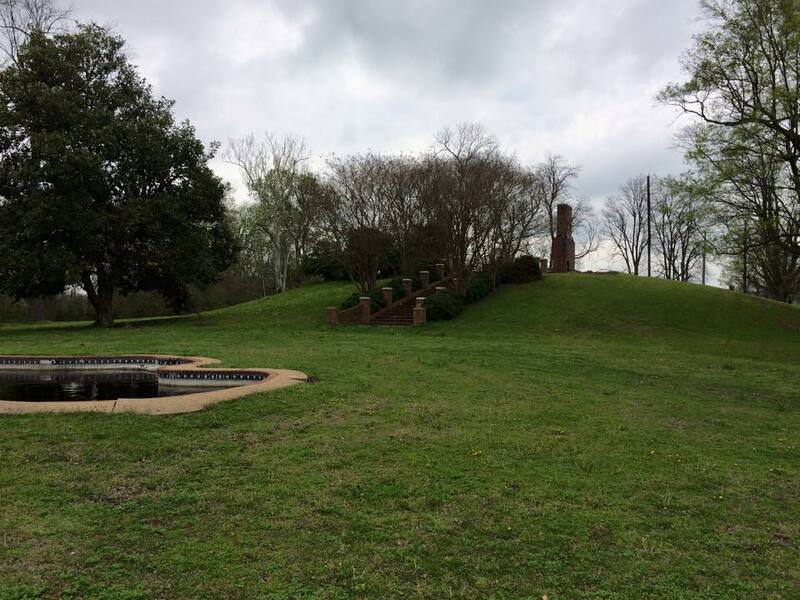 In any case, the program of mound building that began during this time continued at Carson for several hundred years, perhaps until around the time of European contact in the mid 16th century.